"I could’ve hung onto it forever. At my age, you give things back that you've lived with for many years"
Better late than never? A Canadian woman recently returned a book to a Maryland library more than seven decades late. News4's Aimee Cho has the story. If you've ever worried it was too late to right a wrong, take a page from this book. The Silver Spring Library in Maryland recently got a surprise in the mail: a book that was 73 years overdue, along with a letter of apology. It all started in 1946. Two-year-old Mora Gregg fell in love with a picture book called "The Postman." It showed how postal workers did their jobs in the 1920s, horses and all. "I just loved the book. I loved the pictures," said Gregg, who now lives in Canada. When Gregg's family moved from the Washington, D.C., suburbs to Canada, the book went with them. All these years later, Gregg recently found the book, stamped with "Property of Silver Spring Library," and mailed it to the library with a typed letter. "I could’ve hung onto it forever," she said with a laugh. "At my age, you give things back that you've lived with for many years." Anita Vassallo, acting director of the Montgomery County Public Libraries, said she was surprised to see the book and letter. "This is the oldest thing I’ve ever seen. And we don’t always get an explanation of how it was lost to us for so long," she said. News4 did the math on the fines Gregg would face at the standard overdue rate of 35 cents per day. At 73 years late, that's more than $9,000. But, lucky for her, the county caps late fees at $15, and there's no charge for late fees on children's books. Gregg said she wasn't worried about having to pay thousands in fees anyway. "I would've talked my way out of it," she said. 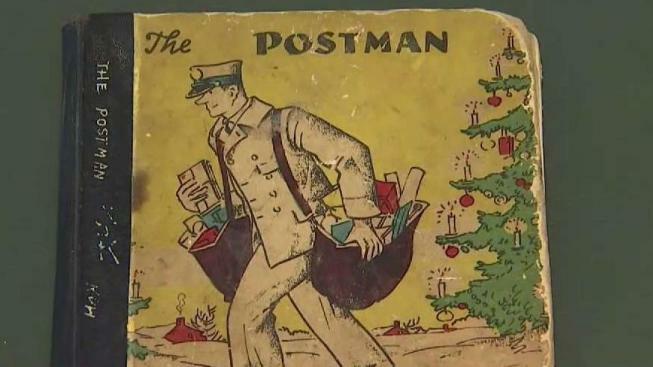 If you look through the Silver Spring Library's shelves to try to find "The Postman," you won't find it; library officials said the book was too fragile to be checked out, but that they'll show it to anyone who's interested. "We want [books] out in people’s hands," the library director said. "Even if they’re in people’s hands for almost 73 years." If Gregg wants to read "The Postman" yet another time, she can go to the Toronto Public Library, which has a copy.